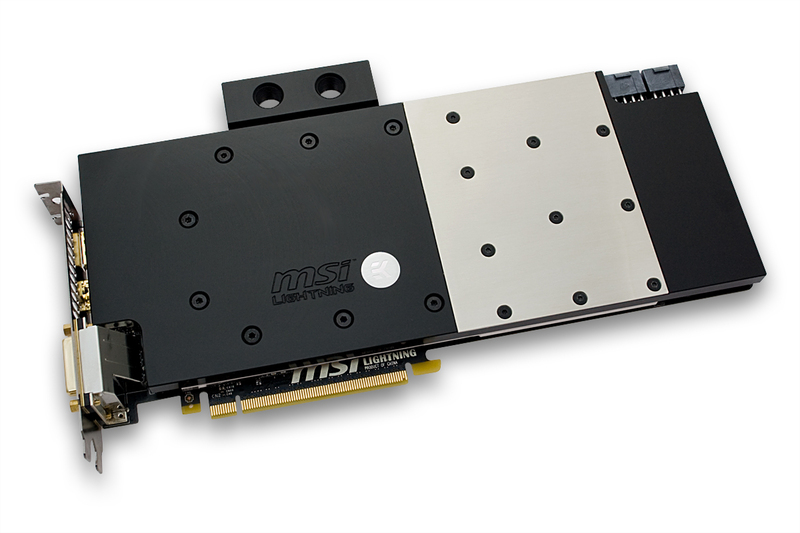 EK Water Blocks, Ljubljana based premium water cooling gear manufacturer, is proud to introduce a new Full-Cover water block for MSI® N780 Lightning series graphics cards. 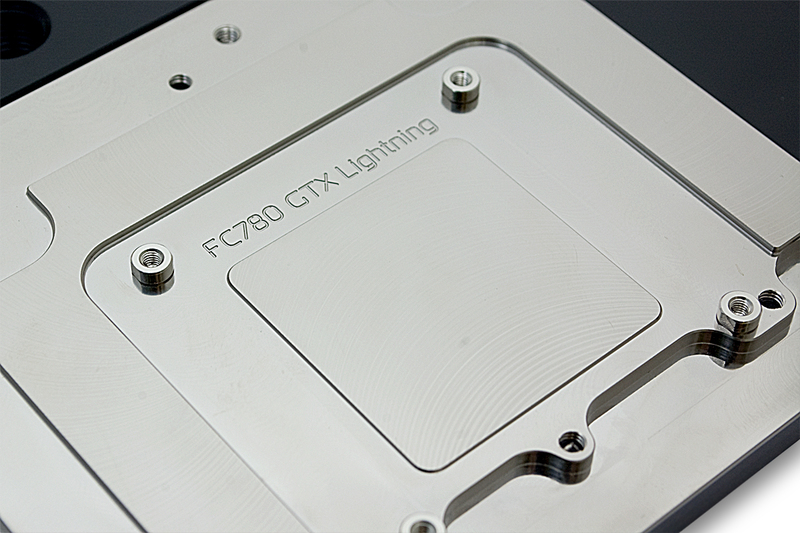 EK-FC780 GTX Lightning water block directly cools the GPU, RAM as well as VRM (voltage regulation module) as water flows directly over these critical areas. This allows the graphics card and it’s VRM to remain stable under high overclocks. 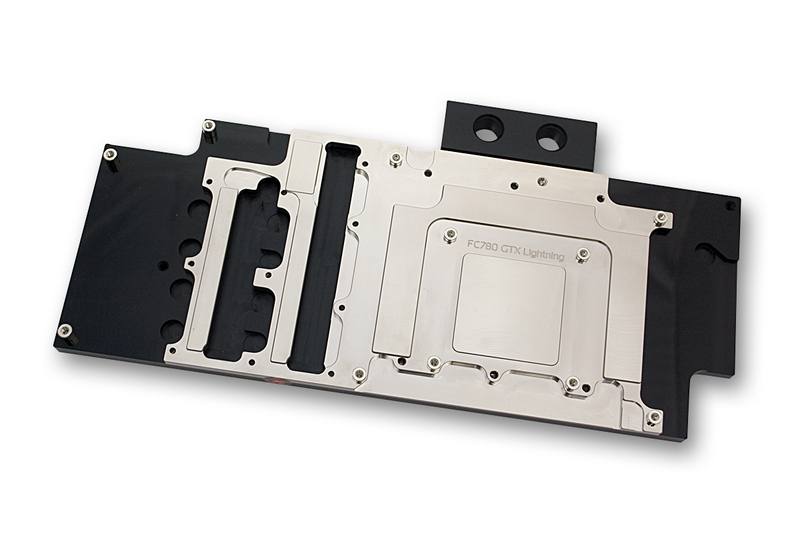 EK-FC780 GTX Lightning water block also features a very high flow design therefore it can be easily used in liquid cooling systems using weaker water pumps. Base is made of nickel plated electrolytic copper while the top is made of quality POM Acetal material which extends over entine lenght of the circuit board. Up to four EK-FC780 GTX Lightning series water blocks can be interconnected with EK-FC Terminal or HD Tube & Adapter System system – depending on the variant – which allows for hassle-free piping job.